Christened in tribute to Christopher Columbus, Zenith Christophe Colomb relates to the very nature of this ultra-complex model which addresses one of the key issues that faced this adventurous seafarer and still haunts the contemporary watch industry to this day: how to achieve precision measurements with instruments that are subjected to constant motion that is detrimental to their accuracy. The tourbillon was specifically designed to compensate for the effects of gravity on the precision of pocket watches, wristwatches move through constantly varying positions and thus required an entirely different approach. 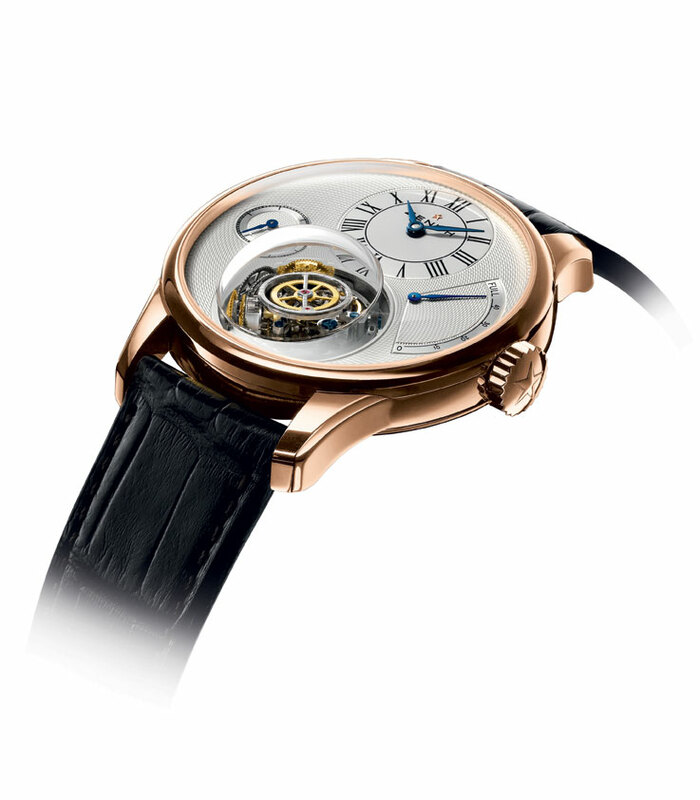 Given the well-known fact that keeping the regulating organ in a horizontal position generates the best possible amplitude of the balance and thus considerably enhances timing precision, Manufacture ZENITH decided to ensure that the regulating organ and the escapement were indeed permanently kept in this position. 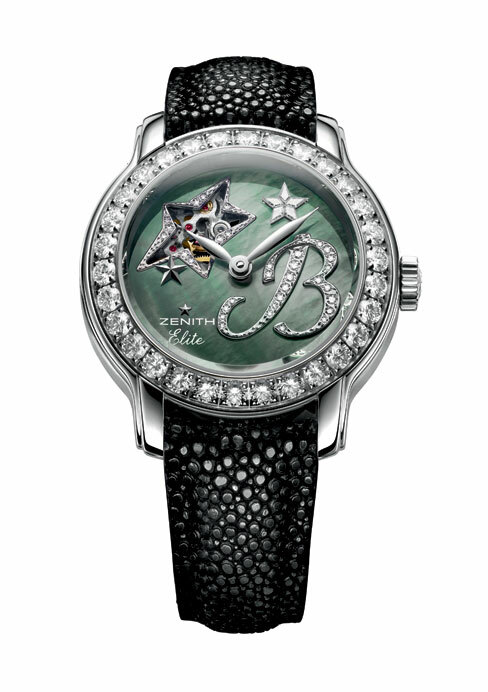 The rate of vibrations per second for this watch is completely independent of its wearer’s movements. The hand-wound 45-jewel, 36,000 VpH Academy 8804 manual winding movement with 50-hour power reserve, features a unique gyroscopic system ensuring perfect horizontal positioning of the regulating organ. This system consists in a cage composed of 166 parts, 10 conical-geared wheels (with 6 spherical wheels) and 6 ball bearings. With El Primero Foudroyante, Zenith introduces the first automatic integrated chronograph with 1/10th of a second display. The Jumping Seconds chronograph takes high-precision timing read-off to a whole new level. It was in 1969 that Zenith first came out with the legendary El Primero movement which has proved to be a perpetual source of fascination. While all movement manufacturers were capable of producing automatic movements for classic watches, none ventured to develop such a system for a chronograph movement. 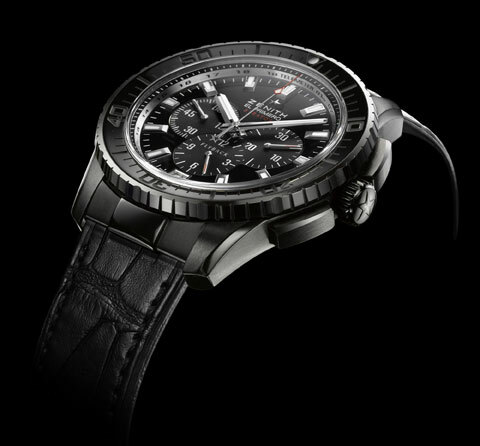 The El Primero Foudroyante has enhanced precision and readability through jumping seconds. The Jumping Seconds chronograph is distinguished by a chronograph hand completing its rotation in just 10 seconds and thereby considerably improving the 1/10th of a second read-off. Driven by the El Primero 4052 B automatic calibre, the new El Primero Jumping Seconds chronograph comes in a choice of 18-carat rose gold or stainless steel for its 42 mm case that is water-resistant to 100mts and is fitted with a transparent sapphire crystal on either side. 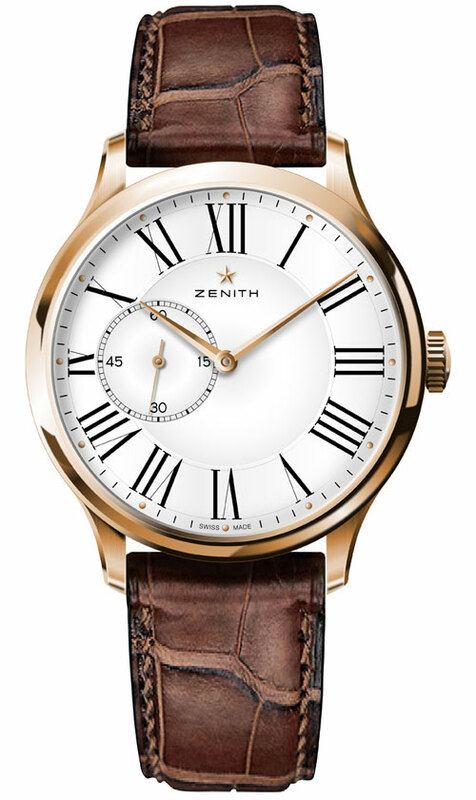 This elegantly sophisticated model is fitted with a choice of rubber-lined black or brown alligator leather strap, secured to the wrist by a pin buckle in stainless steel or 18-carat rose gold, or by a stainless steel bracelet with triple folding clasp. Price on request.